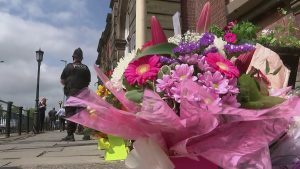 One of the 22 people who were killed at the Manchester Arena on Monday night was 45-year-old mother Alison Howe. 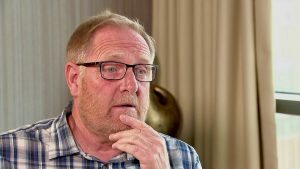 We spoke with Alison’s husband, Steve about that terrible night, when – he says – he was failed by the arrangements made by police to keep loved ones informed. What was known about Manchester bomber? 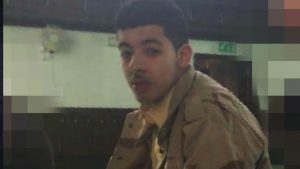 Salman Abedi is believed to have visited Libya, and possibly Syria, in recent months. But how much was known about him by the security services? It was suggested that he had been a “peripheral figure” in their monitoring of terrorist suspects. And if he was missed, what of others in the suspected network? 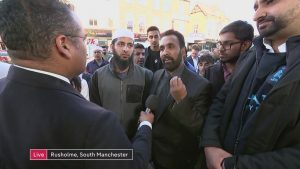 On Wednesday Channel 4 News broadcast this live debate at a vigil for the Manchester bombing victims. 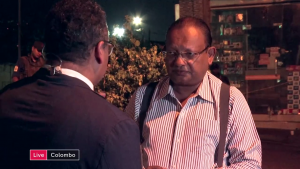 When it was brought to our attention that the woman being interviewed by Krishnan Guru-Murthy was wearing a gun-themed t-shirt, we removed the online versions to investigate. We are now satisfied that the intention of that image is to subvert weaponry and is an anti-violence protest t-shirt. A minute’s silence will be observed at 11 o’clock tomorrow morning in memory of those who died in Monday’s attack. After that, there’ll be a “phased return” to election campaigning. 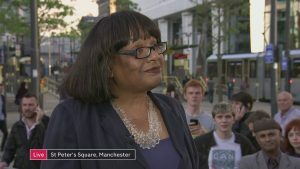 Labour’s Shadow Home Secretary, Diane Abbott, and Liberal Democrat home affairs spokesman and former police officer, Lord Paddick, discuss the response to the Manchester bombing, including the decision to deploy soldiers at public places in London. 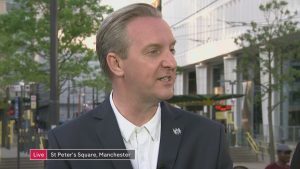 More armed officers are being bussed in, as Greater Manchester Police say they are now investigating a terror network.Those officers are being freed up around the country by the deployment of troops to guard key sites following the upgrading of the terror threat level from “severe” to “critical”. 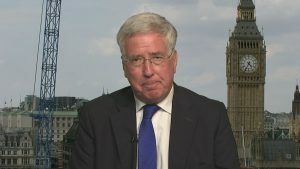 Defence Secretary Sir Michael Fallon says the decision to raise the terrorism threat level was made independently and deploying troops in public places, to “backfill” for the police, was a “direct response” to this. 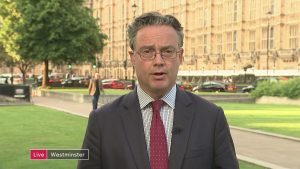 He adds that the Government has increased the number of armed police officers in recent years. 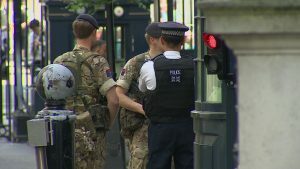 Troops join police on the streets of London. 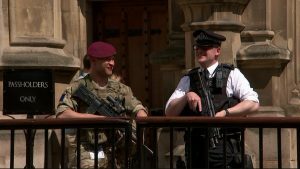 The threat level rises to critical in the aftermath of the Manchester bombing. 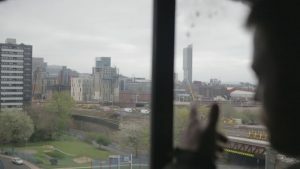 Housing booming in Manchester, but who can afford it? One of the key issues in this week’s elections was housing – or rather the price of it . 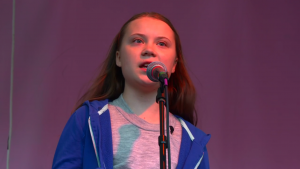 And nowhere more so than in booming Manchester – considered the engine of the northern powerhouse. 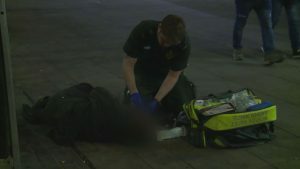 The hallucinogenic and highly addictive drug spice is causing chaos in Britain’s prisons and turning its users into a zombie-like state in city centres around the country. 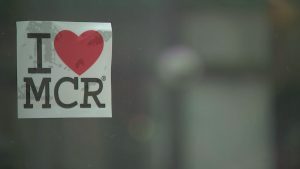 In Manchester, in particular, the problem is said to have reached epidemic proportions. Can the Conservatives win back votes in the north? The Tories are back in Manchester. Political Correspondent Michael Crick looks at the challenges facing David Cameron and his team ahead of tomorrow’s party conference.